I’m not sure how so many of my clothes end up with bleach stains, given that I don’t use much bleach around the house. But they do. Thankfully, many of the clothes that end up with these stains are black. Yes, it is good. Because there’s a really way to fix them. 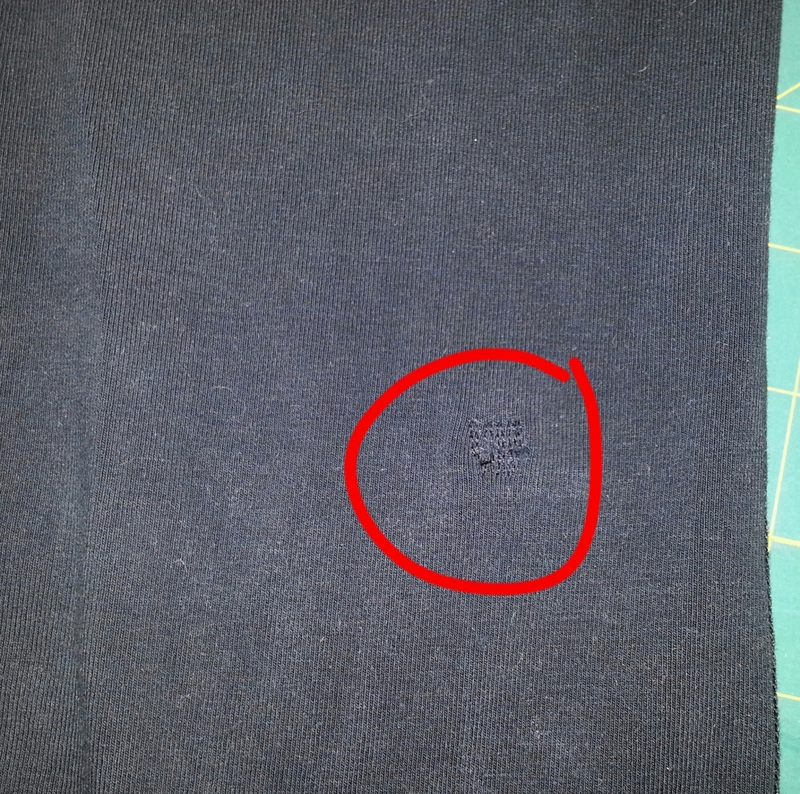 On this particular piece of fabric, the marker shows up dark. Since this is a pair of yoga pants, that doesn’t bother me. Besides, it’s not noticeable from afar and the color will fade to a closer match after a few washes. (Yup, even ‘permanent’ marker fades over time.) However, if I was looking for an exact match, I could have used a dark gray Sharpie. Art supply stores have Sharpies in almost every shade under the sun for $1 or $2 a piece, so this fix can work for your purple and green clothes just as well as it can for black. There was also a small hole above the knee of the pants. I repaired it by pinning a small square of black knit fabric to the inside of the pants, then sewed over the hole in closely set parallel lines using black thread. The fix is barely visible. Have you ever seen a denim coloured sharpie?! I really need that! It depends on the color of denim! I have a navy Sharpie in my office, and at Target last week I saw a rainbow pack of Sharpies that included a brighter blue. I've seen a whole array of blues at the art supply store. If the denim is heathered or mottled, it's tougher to color in. But I've achieved heathering before by using two different shades of Sharpies to match the two different shades of heathering.